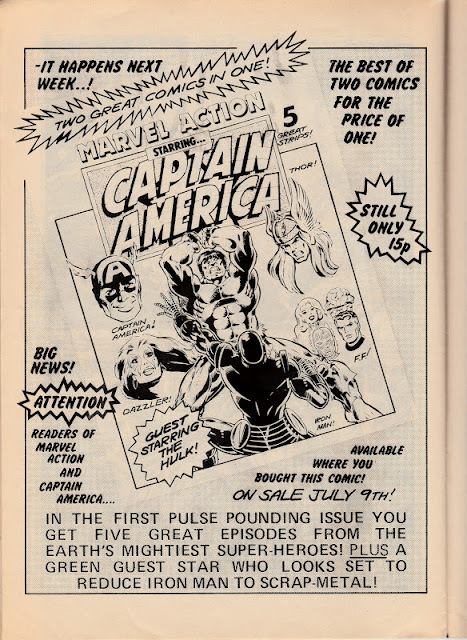 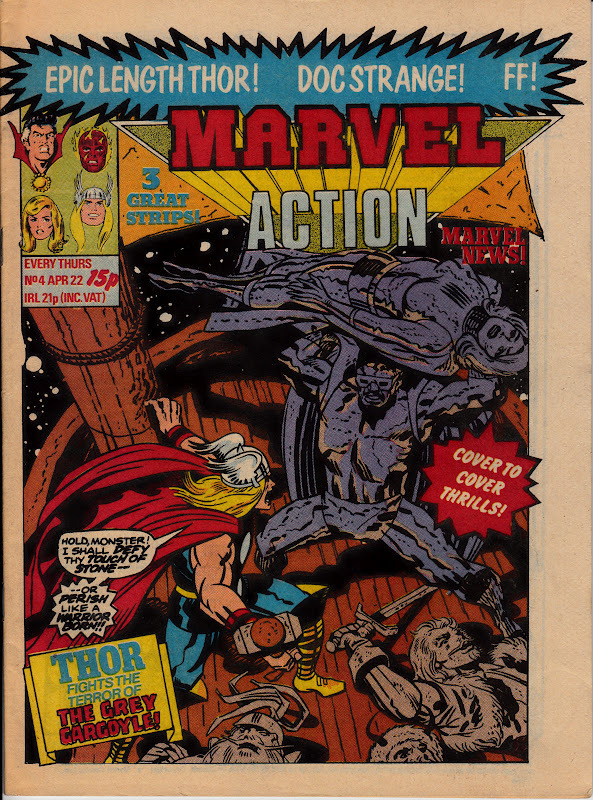 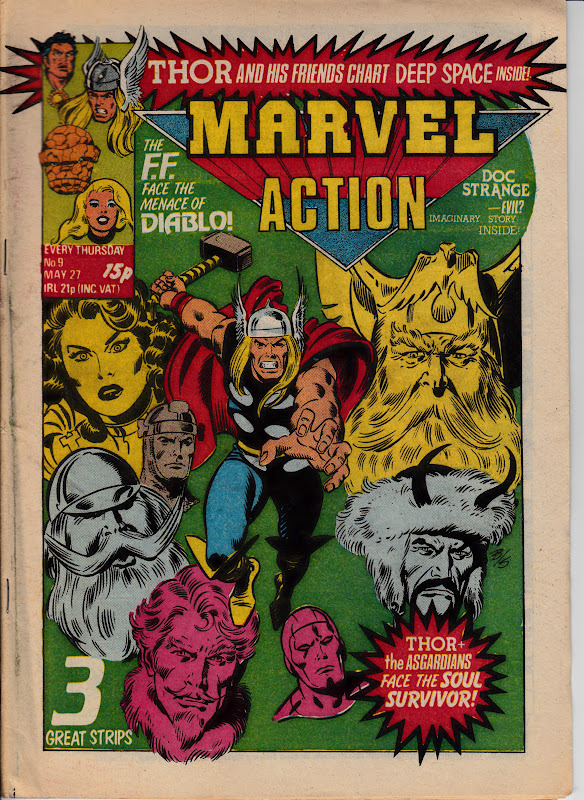 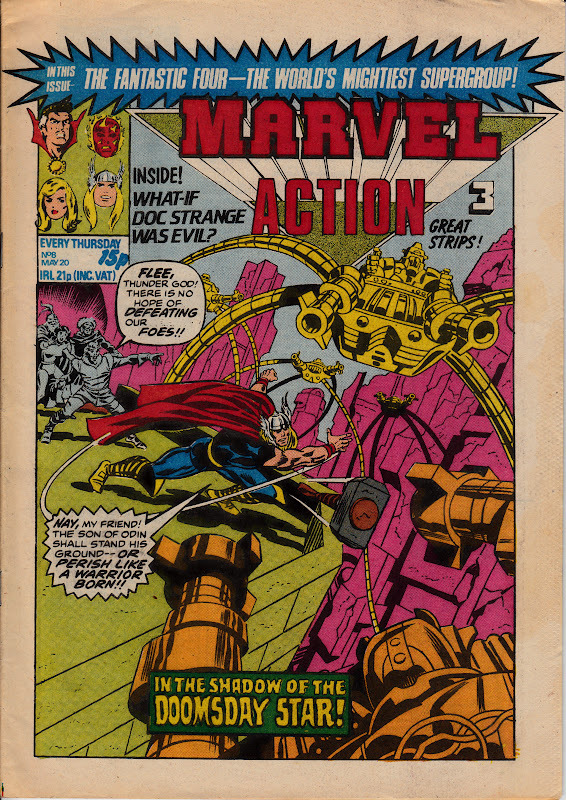 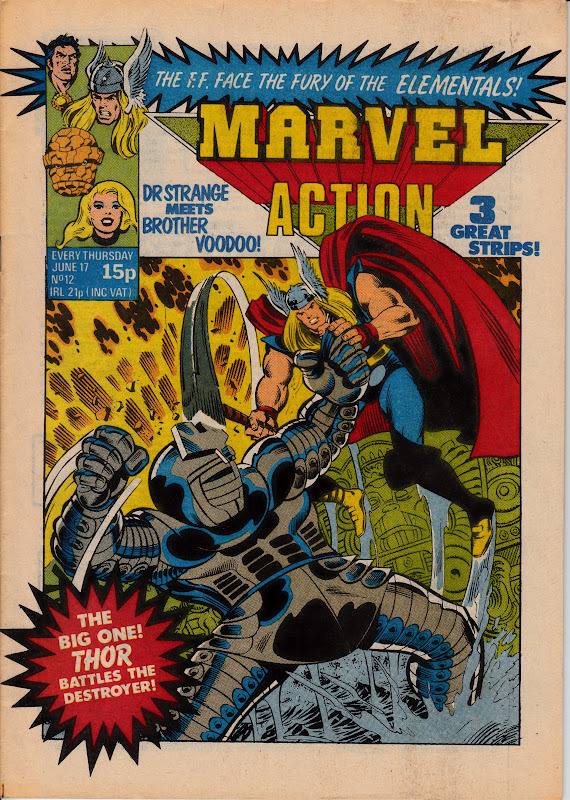 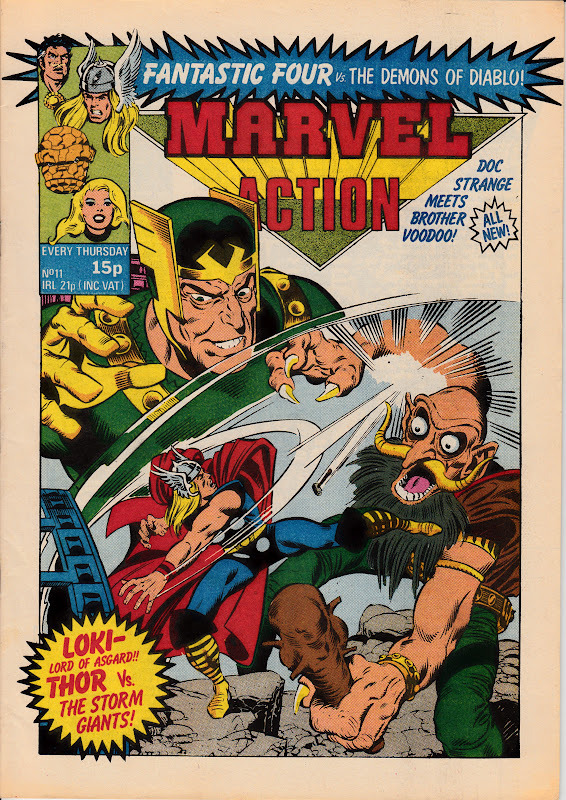 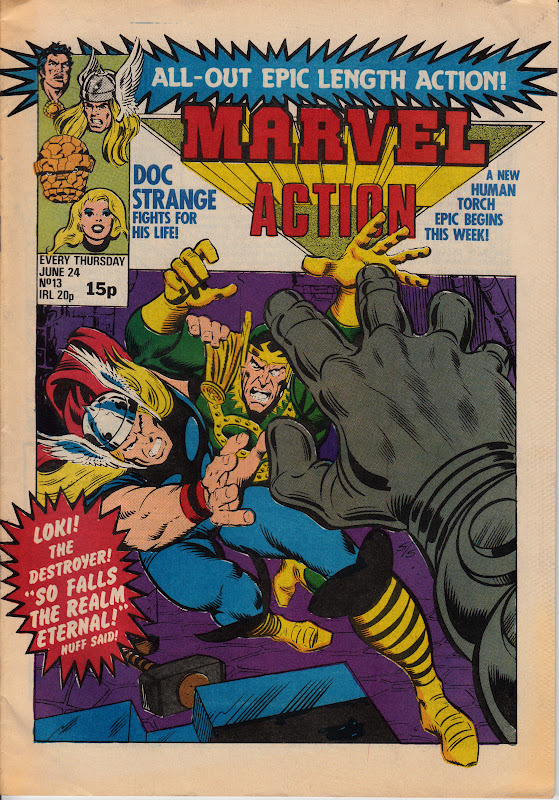 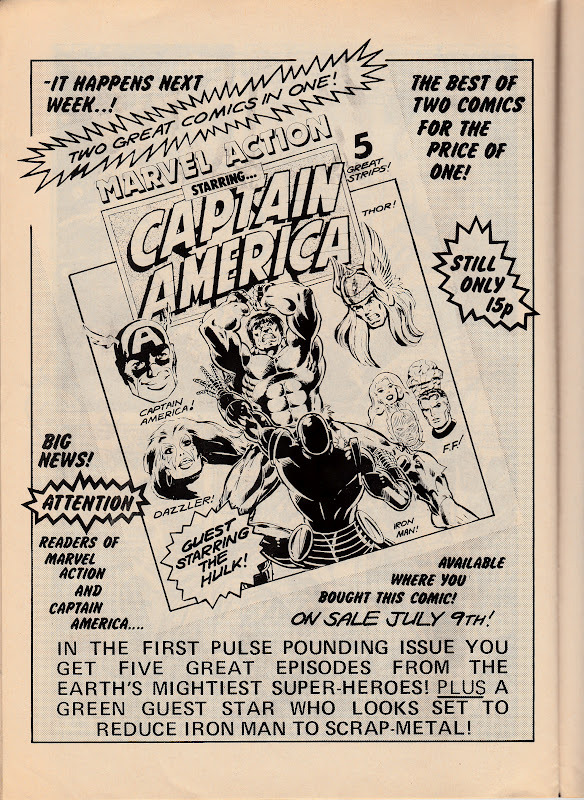 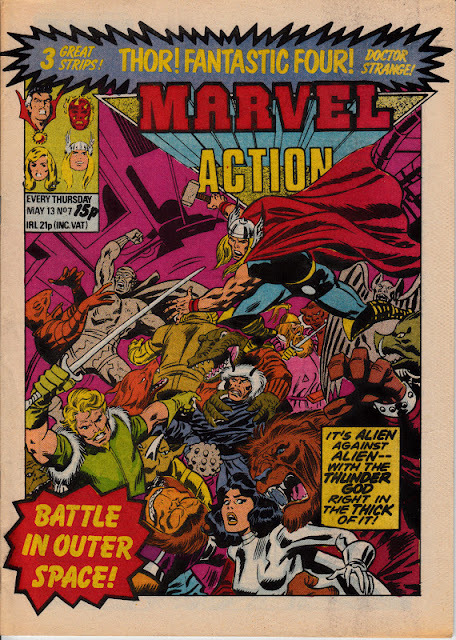 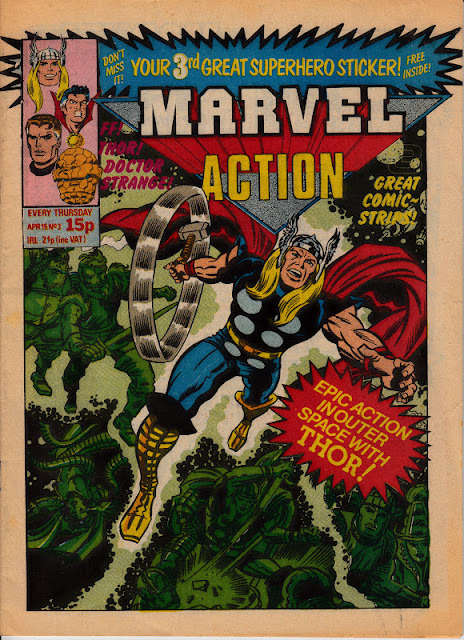 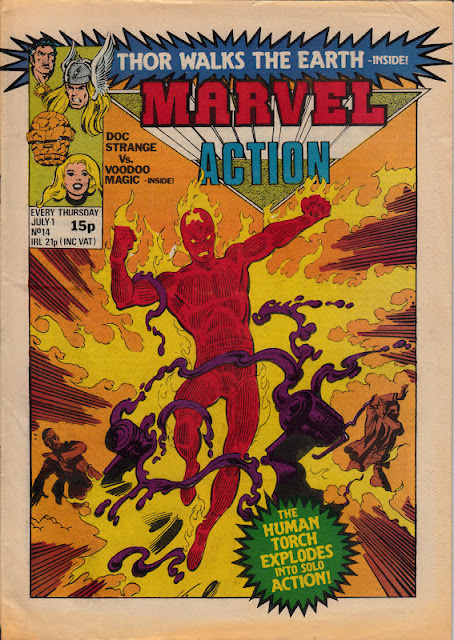 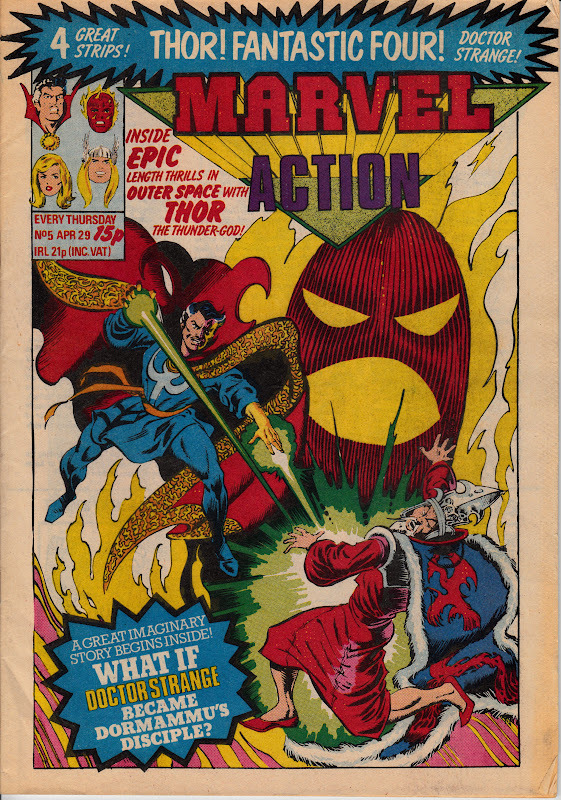 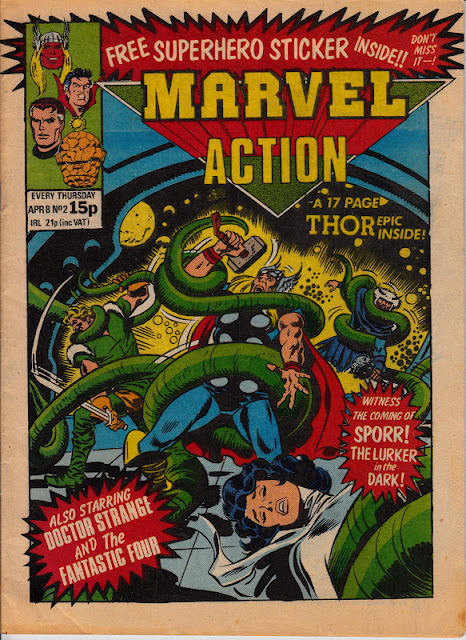 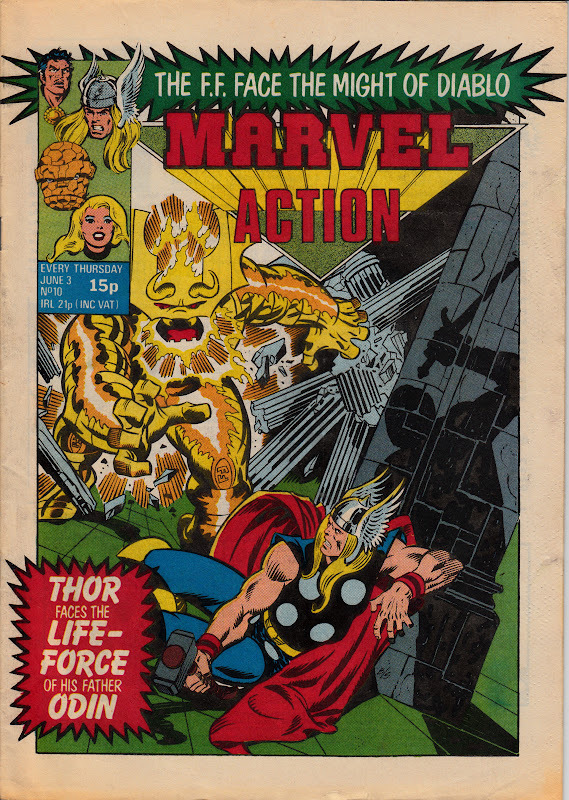 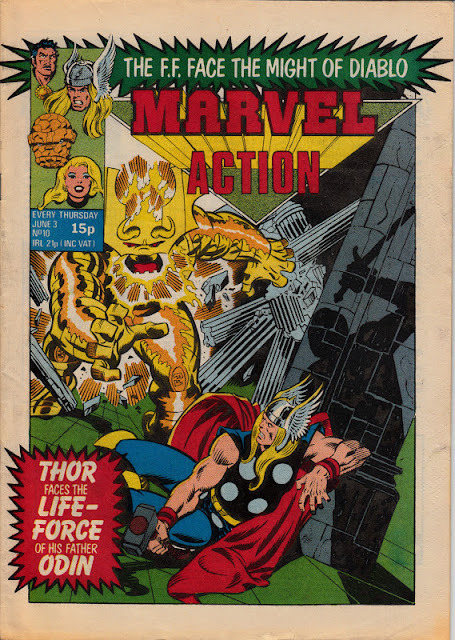 MARVEL ACTION was a blink-and-you-missed-it 1981 weekly (in the Skinn format: colour covers and black'n'white interiors, all printed on cheap almost-newsprint) which shuttered after only 15 issues, despite a strong line-up of strips. Thor and Doctor Strange transferred from the just-cancelled VALOUR (19 issues, November 1980- March 1981) whilst the ever-transient Fantastic Four had just seen their previous home, MARVEL TEAM-UP cancelled after 25 issues (September 1980 - March 1981). 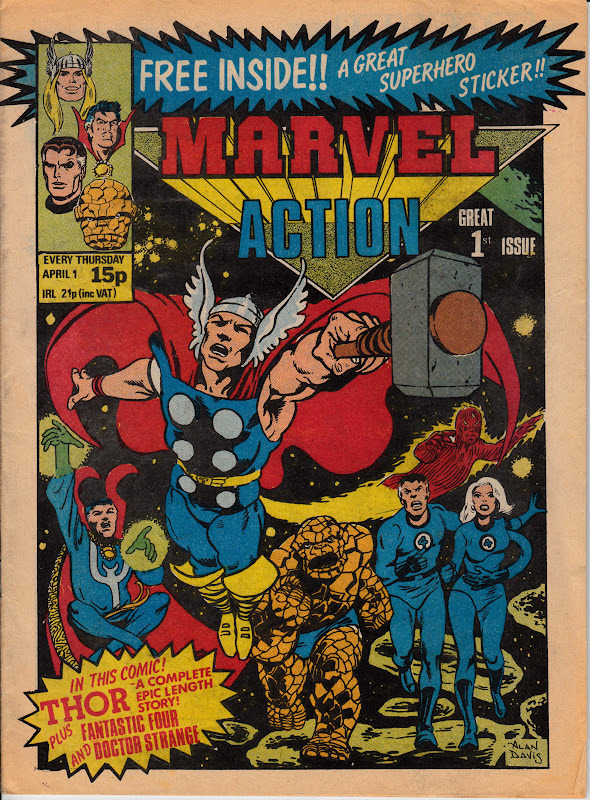 Marvel Action couldn't pull the punters, transferring the FF and Thor to new homes in CAPTAIN AMERICA. 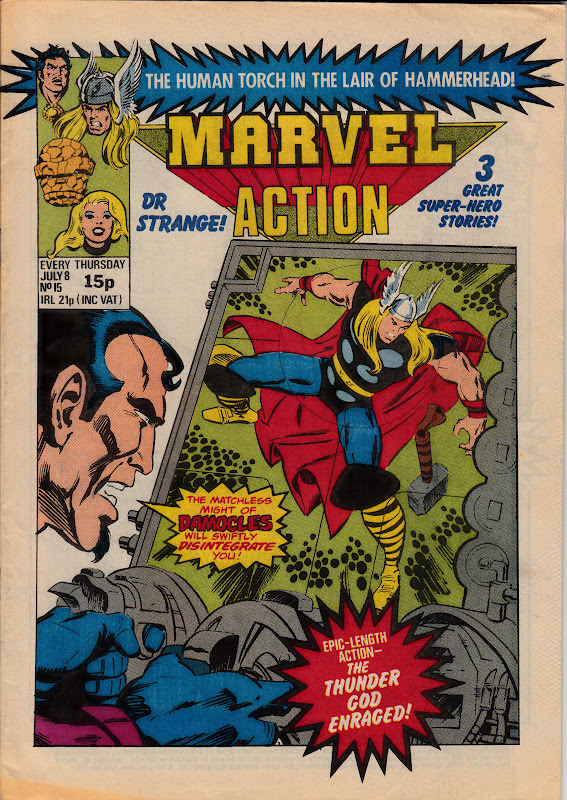 The Foursome didn't stick around but the thunder god became an almost equally partner, securing the cover slot on a number of occasions as a warm-up to his 1983 solo weekly. 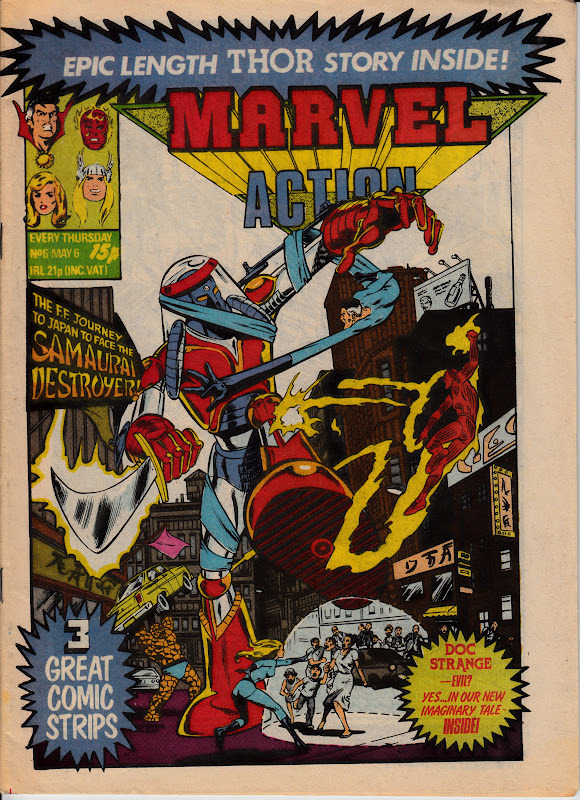 1982: DOOMLORD PART 13 - THE FINAL CHAPTER!